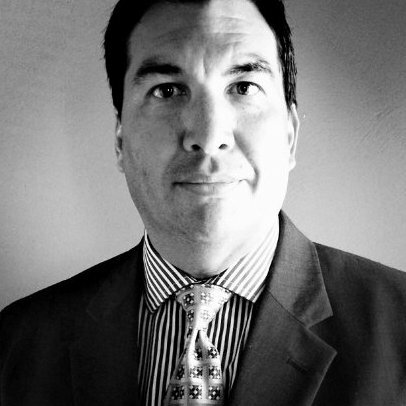 Episode 94: Don’t Dwell on the Past | James Maioho, Author of Winners Give Up! 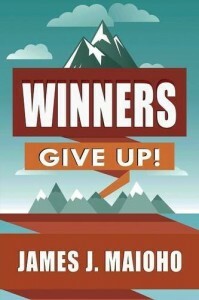 James Maioho is the author of Winners Give Up! which is a little play on words there. I think most people would stay that winners don’t give up, but in this case it’s giving up the baggage or things that you are holding on to that are holding you back from achieving the things you really want in life. It was great talking with James about his book and some of the philosophies that he has on life. Actually he and I share a similar path in that we both experienced this kind of traumatic period in our lives where we were in a really interesting place. I kinda described it as I was kind of lost I didn’t know exactly what I wanted to do. I’m not sure if he described it in the same way but it was similar circumstances. So I can definitely relate to what he was going through and how he worked to overcome that. The way he worked to overcome that was by providing value and helping other people. That’s exactly what I try to do as well. 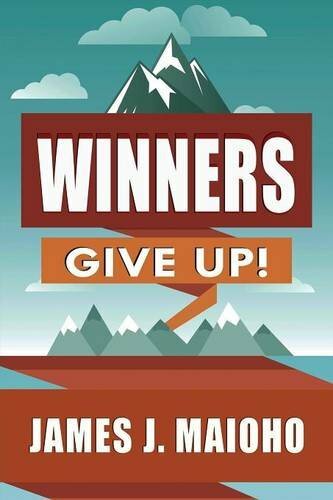 One of the things that he talked about in the interview and what he wrote his book on, Winners Give Up. Which is a little bit counterintuitive but I do understand exactly what he’s trying to get across there. Which is that the most successful people learn to let go of the past. They learn to let go of that baggage and look forward and take action in the present so they can go on to achieve things in the future. They don’t look forward to the future. They don’t spend time dwelling on the past. They live in the present, planning for the future, and taking action on things in the present so that it impacts the future. So that it can be the future they want. Sports is a great analogy for anything in life. One of the things I’ve noticed in the sports world, is that failure is constant in sports. In baseball for example, even from one at bat to the next. You can hit a homerun in one at bat and strike out at the next one. But if you dwell on the strikeouts you’re not doing yourself any favors. You’re not planning for the future, you’re not getting better you’re just dwelling on what happened in the past and that’s a strategy designed for failure. I would like to encourage all of you to take a moment to think of those things that are holding you back. Those things that you are dwelling on that aren’t serving you for your current and they’re not serving you for your future and let those things go. It really does no good for anyone. I can remember specifically during that dark time in my life, literally, I would just sit there and I would kind of obsess over the fact of how I was wronged and things were going against me. Once I realized that that wasn’t doing me any good and I took steps towards something that was going to make a positive impact and have a difference my life opened up and became so much better. I’d encourage all of you if you are struggling, or it’s a tough time in your life, or you’re not sure where to go take some steps to do something that’s going to impact your future for the better by helping other people. I think that’s a great step to take and you can just start going from there. Thanks for listening! Sign up for our newsletter! A monthly email that shares about our guests our interviews and also little tid bits or information about that stuff that I’m up to, and maybe even some things that you can take action on. Now I want to encourage all of you to go out there and find your success. Visit WinnersGiveUp.com or to bouce business ideas or things off James go to MadkoGroup.com. He says he’ll answer any questions for the people that care to contact him. If he has time he’s happy to do it. James says his career path is not linear. He’s had several different careers or different components to my career. He first went to school in Michigan on a music scholarship he wanted to be a musician. He ended up getting his degree at a school in California. When he was sitting in a studio just about to get his degree. He had a conversation with a guy who was a pretty successful studio musician. That guy said that he didn’t make any money, so if you can do something else, you should do something else. Eventually he learned local manufacture and at construction, he started working with Caterpillar and learned how to do territory management, client based selling, large asset value setting. Then he migrated out of that went into a family business, his ex wife’s family’s business. He got the opportunity to learn about fabric manufacturing, importing, direct marketing. This was a company with very large house file list management, a large call center, lots of fulfillment. He got all kinds of experience with direct marketing, a completely different type of selling than just territory management. All kinds of marketing to support it. With that job, he had young children, but for work he was on a plane 5 days a week. He said it was a fascinating job and he had a lot of success. That brought him up to the point when he started writing, doing articles, and putting out the book and those things. His book, Winners Give Up! is a play on words. When you think of winning generally what comes to mind is that winners do whatever it takes to win. You never give up. You never surrender. But Winners Give Up! is more about giving up the baggage and the negative thinking, the negative habits, the negative processes that you’ve burdened yourself with in order to get from point A to point B on your journey towards success. It’s more about winning through shedding yourself of all these other things. It’s really an attempt to have a paradigm shift towards the positive. Everybody is not the same. There’s lots of different areas where we are hung up with a negative paradigm where we haven’t accepted responsibility for a certain situation. Where we’re blaming someone else in our life for some negative situation. Writing is not how James makes a livin. He works at an environmental services firm, construction services, I get to act on it in a consulting business on that. That allows him to be involved in a lot of chamber groups, minority support groups, other things in the area and that gives him freedom to do his own consulting business. The bases are there for everything, once his family focus is shifted and his children grow older then he may migrate and do this other full time. He says that right now every day is better than the day before. This entry was posted in Episode 094: Don't Dwell on the Past | James Maioho Author of Winners Give Up! on August 14, 2014 by Admin.